M2TS Converter is one of best video converter for your AVCHD camcorder, Apple iPOD and PSP device . It allows you to edit footage from an AVCHD video camera and HD Camcorders in Microsoft Movie Maker or other video editing suite on the PC. M2TS Converter is a powerful video converter which is able to Convert over 160 formats, available for 150 devices. It can help you convert any video format to another on any device. M2TS Converter is a powerful and handy video converter which can support almost all kinds of video and audio formats. This professional video converter can supply a easy and safe solution to converter your videos and audio to M2TS formats. M2TS Converter is one of best video converter for your AVCHD camcorder, Apple iPOD and PSP device . It allows you to edit footage from an AVCHD video camera and HD Camcorders in Microsoft Movie Maker or other video editing suite on the PC. M2TS Converter is a powerful video converter which is able to Convert over 160+ formats, available for 150+ devices. 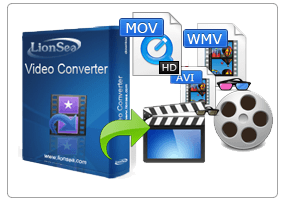 It can help you convert any video format to another on any device. Supported by M2TS Converter device includes Apple, Samsung, HTC, BlackBerry, Motorola, Nokia, LGArchos, Sony, Game Hardware,Other. And it also is available for iPod touch 1-3, iPod nano, iPod classic, iPhone 1-3GS, iPhone 4, iPhone 4S, iPad, iPad 2, The New iPad, Apple TV, Apple TV 2, The New Apple TV, iPod Touch 4. Futhurmore, using M2TS Converter is very easy. you just need a few clicks, you can convert your M2TS videos to any other format. step1,download and install M2TS Converter, and start it. Click 'Add files' on the top tool bar, or simply drag and drop to import HD movies, TV videos into the converter software. And then choose 'Output folder' at the bottom of the program window by browsing, make sure there are enough free space at your designated path. Step2, Click the drop-down arrow under 'Encoding profile'. There are several built-in profiles for popular end devices. Make your choice. Step3, Double-check the video you want to convert have been selected , and click 'Convert' button. So it easy just like ABC. Even if you know little about computer you can convert your videos. In addition, it is very safe to use M2TS Converter, it will not do any damage to your computer or device. And also will not broke your video quality. In one word, Fast converting speed! High-quality effect!